I’ve tried a lot of inflatable beds for kids’ sleep-overs and over-night guests. This is the definite winner in terms of comfort and reliability. At Thanksgiving, these are a huge help for labeling dishes, since nowadays I find myself making regular stuffing, plus gluten-free, and a whole grain version too! My neighbors’ daughter was starting kindergarten, and frankly I couldn’t resist getting these for her. When we visited some friends in upstate New York who grow an amazing vegetable garden, I thought this would be more personal than bringing wine. My nephew just started college, and one night when I was missing him, I sent him this. It was well received! 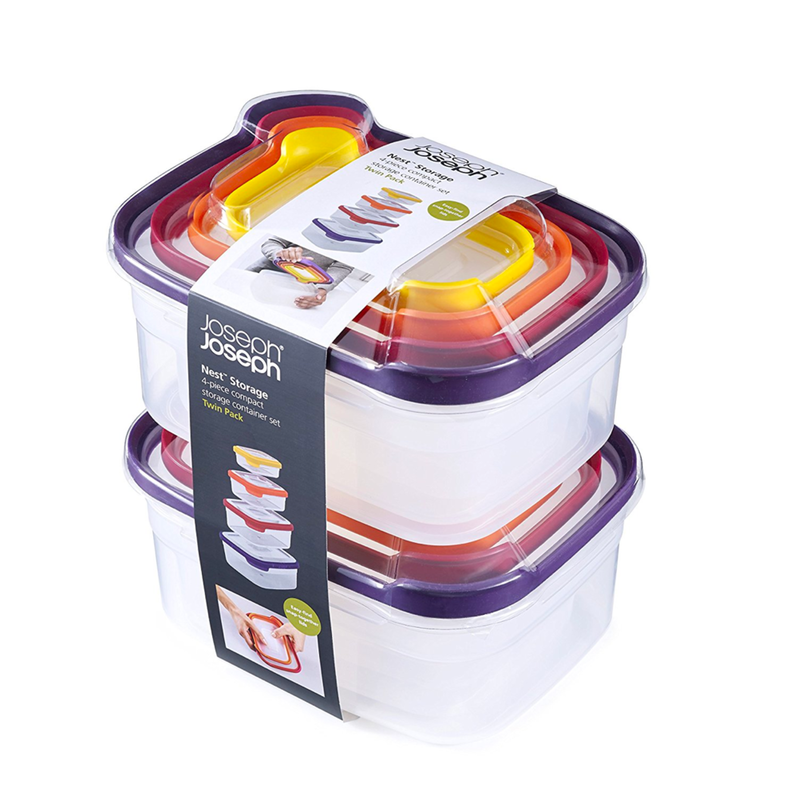 These are a great design: they stack to save space and also go in the freezer, which is great when there are leftovers. A good hostess gift. I have two of these that I use together as a centerpiece. I love them because you only need a few stems of flowers and they still look great. They come in a bunch of colors and make a good housewarming present. Baths are my nightly “breathing space,” and I like to tinker around to find the right potion each time. During the day I use the diffuser with lavender or eucalyptus. Pure fun. Truth be told, I can only last a few hours in these, but the platform helps, and I love staring down at my feet in them. I love Warby Parker, not only for their affordable fashionable styles, but because they give away a free pair of glasses for every pair purchased. It’s hard to resist a name like coquette, and this color is just the right shade of pink of for the fall. When I fly, I like to bring my lap top, snacks and magazines - but my shoulders don’t! 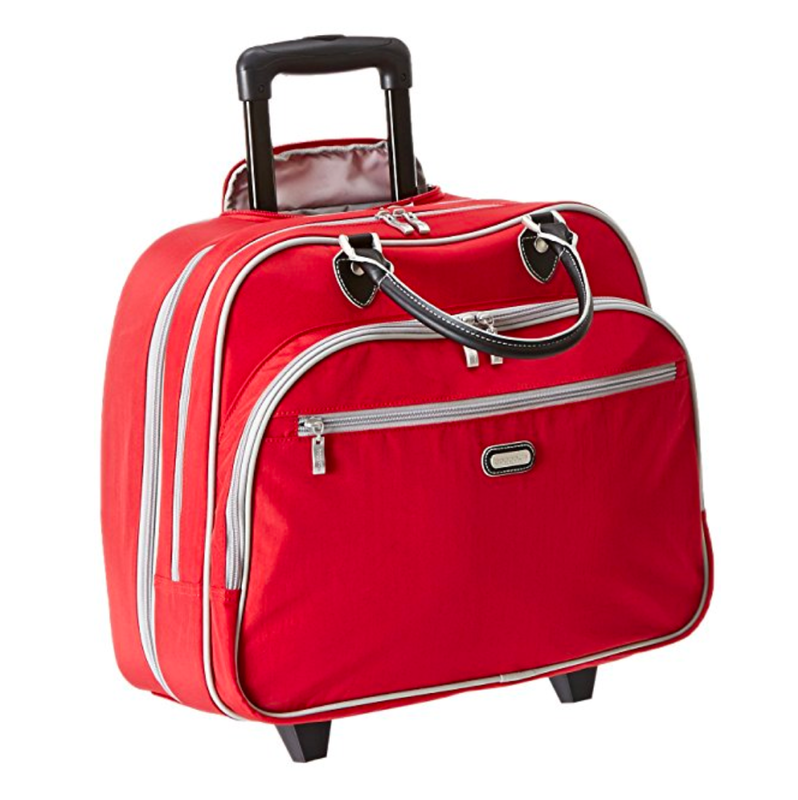 This stylish rolling tote is real savior when I travel. At my house it’s pretty hard to find a game we all like, but here it is! It’s sort of like the old password game but even more fun. TRY IT! Even though they are very different, I grouped these two books together because they both tell interesting, original stories, and are hard to put down. The packaging says “bring pasta night back” and I agree. This pasta, made from chick peas, is really delicious (I especially like it with pesto). It’s high in protein but low in carbs. Yum. I try to get in at least 10,000 steps a day and by evening this is a treat to the feet. Long, soft and form fitting - I’ll be wearing this all the time. A John Le Carré plot, glam scenery, and great acting make this mini-series a binge-worthy treat. I couldn’t stop watching. Hope they make a second season!